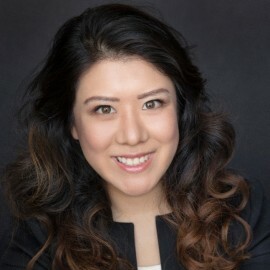 Nancy Wang is a Director at California Technology Ventures, where she focuses on investments in enterprise software and medical devices. Before becoming a VC, Nancy was the product manager for Google Fiber’s network infrastructure team, where she led a team of engineers to develop the end-to-end platform of tools responsible for virtualizing the entire ISP network. Nancy graduated with a degree in Computer Science from the University of Pennsylvania. In her spare time, Nancy likes to go horseback riding as well as cooking foods from different regions of the world. As part of her outreach to women in STEM, Nancy co-founded Aspiring Women in Product, a non-profit based in the Bay Area that empowers women to obtain and succeed in Product Management careers.